Part of Lake Bonney Wind Plant, South Australia. Image Credit – Stuart Stansfield. THE HIDDEN COSTS WIND POWER WON’T TELL YOU ABOUT. 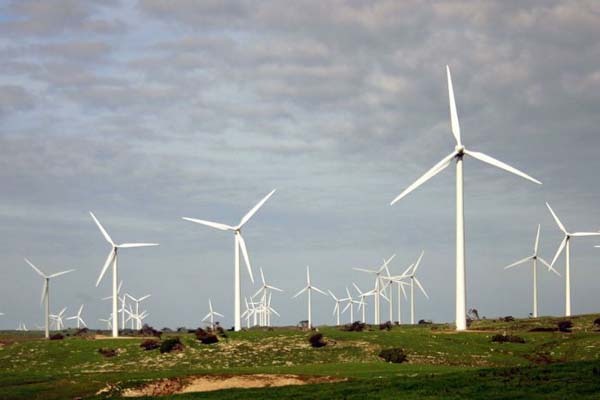 While this Post specifically discusses wind power in one State of Australia, it is indicative of wind power wherever it is being brought into use. Those hidden costs I mention above are for the cost of replacement power for when wind power is not delivering power because of the variability of the wind itself….TonyfromOz. There’s been debate recently here in Australia about the cost of power for consumers. There have been a number of rises in the cost for the provision of electrical power, and some wild claims have been made as to why it has become so expensive. Those supporters of Renewable Power have come out and said that Renewable Power is in fact quite cheap, and the cost rises are not related to the increasing number of mainly Wind Plants being constructed, and supplying power into the grids here in Australia. So, then are those Renewable Power supporters correct when they say that Wind Power is cheap? In this Post, I will look specifically at the State of South Australia, (S.A.) because that State currently has the largest number of these Wind Plants of any of the States here in Australia. That State proudly claims that Wind is supplying an ever larger proportion of power to the grid for the State, so we can in fact use that as our guide to actually checking the claim that Wind Power is cheap. What this shows, and shows quite dramatically is that not only is power more expensive in that State, but there are times when all that Wind is supplying very little power. Because of that, other forms of power have to be brought on line to cover for when that Wind is not supplying power. That adds considerably to the cost of power in that State, and there are times, in fact, quite regularly when South Australia has to have quite large amounts of its power supplied by the neighbouring State of Victoria, and that power is from traditional sources, mainly large scale coal fired power. Now, it’s easy for me to make this claim that power costs more in South Australia than anywhere else in Australia, but here I can actually back up that claim with data. I can show you this data and explain exactly how this is in fact true. Recently, in South Australia, there was a sad occasion when a renowned supporter of Renewable Power passed away. She was once the Mayor of Port Augusta, where South Australia’s two main coal fired plants were, and she was an ardent supporter for Renewable Power, and campaigned for the closure if those coal fired plants in here area. One of those plants is now closed for good and the other is in the process of being wound back, with a view to its closure as well. Her sad passing was noted in a special segment on late night TV Current Affairs program Lateline. That segment is shown at the following link, and the video is around nine and a half minutes long. I won’t dwell on the sadness of her passing, but the program included some other information with respect to Wind Power especially that is worth mentioning in the context of this Post of mine. Here, I will mention a couple of relevant points, the first where the interviewer says the following. KERRY BREWSTER: And this is what’s knocked off coal: the power of wind, which in South Australia on a really blowy day is capable of generating up to 70 per cent of the state’s energy needs. Amazingly, that’s how much was generated over several hours last month. Over several hours last Month, up to 70% of the State’s requirement. If electrical power is required for 24 hours of every day, then supplying 70% of that for a few hours in a Month on blowy days is not enough. Power is required on a full time basis. The following comment is from one of those Wind Plant operators. MILES GEORGE, MD, INFIGEN ENERGY: There was a lot of scepticism about whether or not in fact wind farms would be become a serious player. I mean, we were called a cottage industry 10 years ago. Growth has been quite phenomenal, really, much more than we expected, such that we’re now at 25 per cent plus of wind energy generation in South Australia, which is pretty amazing, probably close to the highest in the world. With all power generation in this State taken into account, Wind Power makes up almost 40% of the total Nameplate Capacity. However, when it comes to power actually being generated for consumption, that figure is closer to 20%. While some times show Wind delivering as high as the earlier quoted 70%, then it stands to reason there are times when power generation from Wind is also quite low. So, having some basic information here, let’s then look at power costs for the State. The following image is the charge scale for nearly all of Australia. This is taken from the Energy regulator for all this area the Australian Energy Market Operator. (AEMO) This page of data is for the Month of May so far, and is indicative of every Month. This chart is shown at this link. As is plain to see, the cost of electrical power in South Australia is higher than for every other State. There are a couple of times where the cost in one State is close to, or around the same price as for S.A, but what is of most note here is that Peak cost, because that is for the times when People are, well, not actually asleep in bed. This encompasses all residential power consumption for the time people are awake, and also covers the hours when people are at work or out and about in their Community, all times when power consumption is at its greatest, 7AM until 10PM. 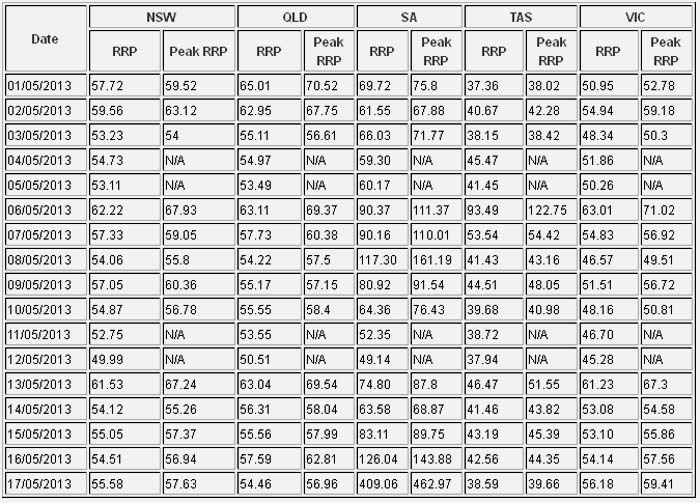 Now note the cost of that Peak RRP for S.A. and compare that with every other State. For every day, that cost is higher, and in most cases twice as high and on some, almost three times as high, and almost four times higher than in some States. This is not just for a few hours, but for 16 hours a day, the time when people are actually up and about, actually consuming power. So, here you have a State with the highest concentration in the Country for Wind Power, and that same State is paying more for its power than all the other States. I’ll show you why power costs are so high, and for this I’ll use data from one day, 17th May, the last date mentioned on that image above. Note the cost of power for S.A. on this day. As I mentioned that RRP is calculated over the full 24 hour period, and the Peak RRP is for the time when most power is actually being consumed, from 7AM until 10PM. As you can plainly see, the cost for Power ranges from 8 to 12 times more expensive than for other State’s power costs. Keep in mind here that this cost is the wholesale price for electricity. This is the cost that the power retailers have to pay for the electricity. The prices you see there for S.A. equates to 40 and 46 cents per KWH, and while the retail price for electricity in S.A. is the most expensive in Australia, this cost here indicates that those retailers are paying more for the electricity they have to purchase than what they can sell it at for consumption. So then, why is this day in particular so expensive, and why does it directly relate to wind power? Firstly look at this load curve for actual power consumption in S.A. for that day. This load curve is shown at this link. Scroll down to the third curve shown at that page. For the result shown here, under that curve are the States in this covered area. 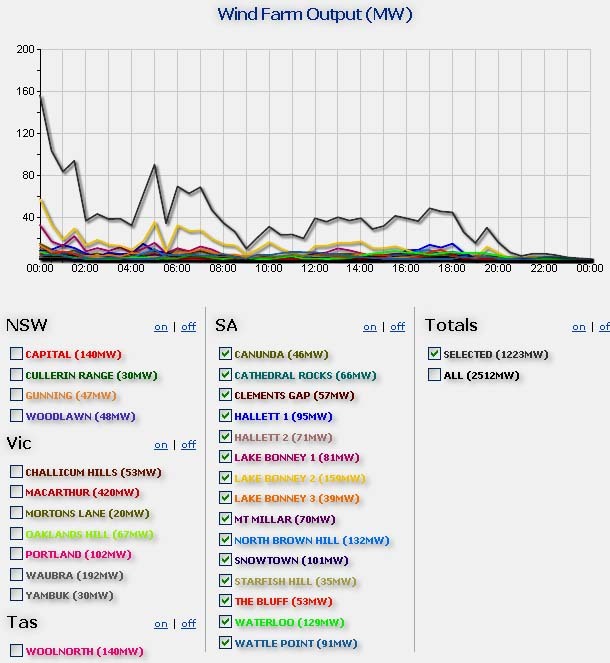 Untick the boxes for NSW, Qld, Tas, Vic, and All, and the resulktant is the red line indicating the total actual Power consumption for the State of S.A.
Now, correlating this curve to the costings above, look at the Peak RRP period of time, 7AM until 10PM. Note that total power consumption is at or around the 1600MW line there. The actual average power consumption for this period is 1610MW. Now. this following image shows the actual power delivery from all the Wind Plants in S.A. for this same day, Friday 17May2013. This power generation chart is also shown at this same link. For the result shown here, under that second chart are listed all the Wind Plants in the same covered area as for the total power load curve. Untick all the boxes down the left side for all the other States, and then also untick the box on the right that is titled ‘All’. What you are left with are the coloured lines for all the Wind Plants in S.A. the ones bumping along the bottom of the chart, and the black line above those indicating the total power delivered from all those Wind Plants in S.A. a total of around 560 huge Wind towers with a Nameplate Capacity of 1223MW. 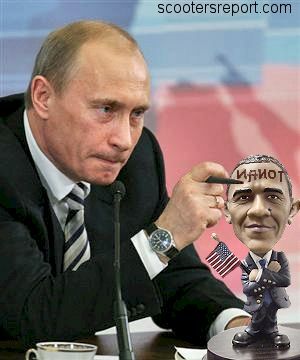 All right then, so what does this tell us? Let’s look at the period of time for Peak RRP, from 7AM until 10PM, the hours when consumption is at its greatest, and then relate that back to the cost for this same period of time on that same day, that cost of $462.97 per MWH. I mentioned above that the average total consumption of power during this period of time was 1610MW. The average total power supplied from all those Wind Plants during that time was 32MW. This comes in at an average of 1.98% of all consumed power being supplied from those 15 Wind Plants totalling 1223MW from 560 huge towers. 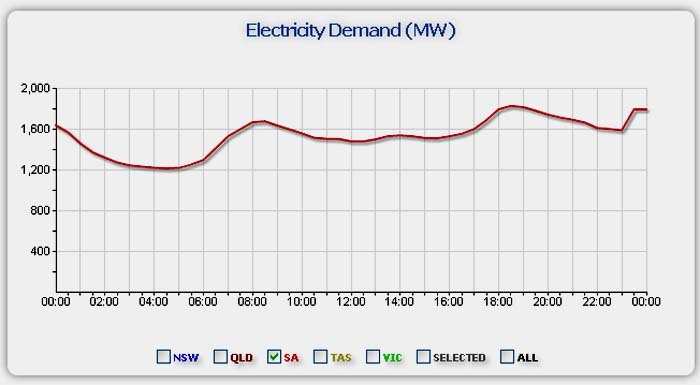 The best they managed was at 7AM when the total was 4.7%, and the worst was 0.9% at 9AM, and then 1.1% at 8PM, right smack in the middle of the two periods of highest power consumption. We can also look at the CF (Capacity Factor) for Wind Power calculated over the whole day. Wind Power proudly claims it has a CF of around 30%, in other words, wind can deliver its full rated power for less than one third of the time, when averaged out over time, be that for a day, a week, a Month, or a Year. For this day, the whole 24 hour period the CF for power delivery from wind power for all these 560 towers comes in at 2.8%, meaning that on this day, wind delivered its full rated capacity for just on 40 minutes, and consider a large scale coal fired plant which delivers its full rated power all the time it is running, that’s 24 hours of every day while running. So, here we have wind supplying what can only be termed a minute amount of power. What this means is that the State’s grid operators now have to desperately find power to make up that total not being supplied from what we are told is a huge wind power total, which, when you take the Nameplate Capacity into account, then Wind makes up almost 40% of S.A. total Nameplate Capacity. Now, those grid controllers have to use all those other plants in the State to supply power for S.A. These plants, are, in the main Natural Gas fired plants, ones that are specifically designed to run at their best efficiency for the short periods of time when power consumption is at its highest, usually around 6 to 8 hours a day at most. On this day, those plants had to be online for the whole day, that’s if all of them were actually available. Instead of operating for those small periods of time, they now had to work for three or four times the required time, and those costs then escalated because of that. At the same time, because S.A. power generation was in fact so tiny, then they also had to call on the neighbouring State of Victoria to also supply power into S.A. and that interchange is around 100MW of power, and most probably, S.A. was calling on all of that power, and the power in Victoria is supplied mainly from three large scale (brown) coal fired plants. That is why S.A. power was so expensive for this particular day. Because their supposedly cheap wind power was not available. This is the DIRECT cause of power being so expensive for this day. Some might say that, hey, this is not wind power that is expensive, because there wasn’t any. That is an absolute cop out, because the lack of wind power is the cause of those higher costs. Now, relate this back to the quote further up the Post where it was said wind power was supplying anything up to 70% of the State’s power on some blowy days during the Month. Look at that costings chart again. Pick any day and power costs are higher, sometimes considerably higher than for any other State. This costing structure is an actual indicator as to how wind power is more expensive than any other traditional forms of power generation. Look at the cost structures for all those other States, all of them with the bulk of their power provided from coal fired power generation, and every one of them excepting Tasmania (with nearly all its power from Hydro, and note how cheap that is) have considerably lower prices for their electricity, and also note the smaller difference between the RRP and the Peak RRP. Now, if you watched the video I linked to at the top of the Post, you’ll notice a power company executive telling us that the Playford coal fired plant was closed because wind power is coming into more usage, and that the Northern Plant, also coal fired, is also close to being closed, again due to wind power becoming so cheap. Nothing could be further from the truth. Playford was closed because it is 50 years old. It came on line in 1963, and is typical (really) old technology and has reached its maximum life expectancy, one of the oldest coal fired power plants still in operation in Australia when it did close down. The Northern Plant is not much better coming on line in 1985, so it’s almost 30 years old, again old technology and getting close to its life expectancy also, and you can bet that this plant would have been running and supplying power on this particular day. So, while we are told that Wind Power is cheap, that is not really the whole truth of the matter. Wind Power is expensive when it is supplying power, and even more expensive when it’s not supplying power. Supporters of wind power can make all the false claims they wish, but when you see data like this and then have it explained, it is patently obvious that Wind power is not cheap at all. Perhaps the backup coal-fired plants should be shut down for a week, so that everyone could truly understand just how ‘cheap’ wind power is.